The 13th annual Bowling Party proved we don’t only work hard but we play hard too. Panel built has seen a major growth since the tradition began and continues to be a force to reckon with. Another force not to mess with, especially when it comes to bowling, was Adam McPherson, Inside Sales Manager, who had the highest score last Friday with a 147. The worst bowler was a toss-up this year. Perennial favorite Janet Long was given a run for the title by Rich Banton and Shane Wright. 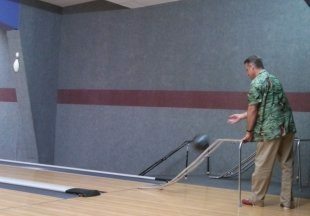 Janet may have pulled out “Worst Bowler” but when it came to worst form, Dave Arnold took the trophy (see picture at right). Surely the performance problems were no reflection of the amazing buffet provided by Galaxy Bowling; including pizza, pigs-n-blanket, and the special pimento cheese sandwiches. In fact, Kevin Thomsen and Adam McPherson; both a part of the team with the highest combined score, seemed to feed off the delicious cheese sandwiches and channel their gastro-greatness into a bowling beat down! 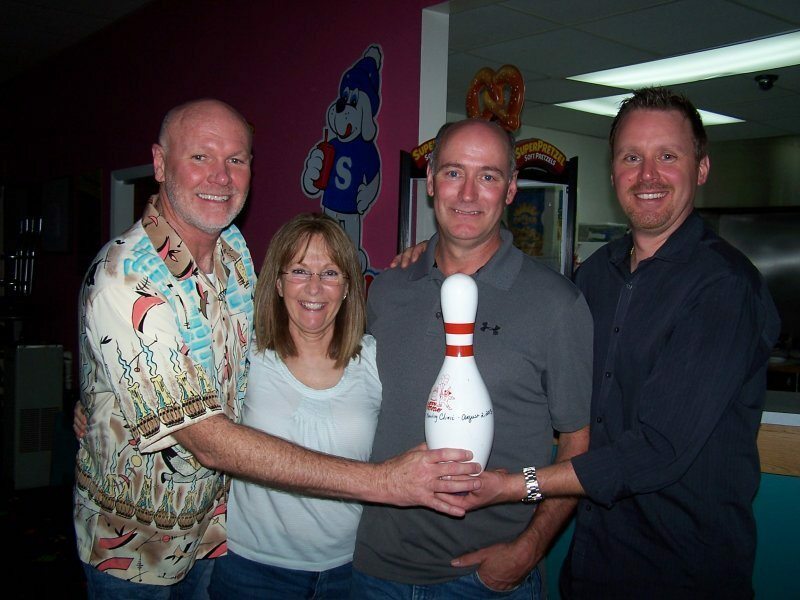 With a combined score of 616, Adam, Kevin, Jeff and Sandy Kidd (below) bowled the best match and took home the coveted Best Team Bowling Pin. Everyone at Panel Built, Inc. would like to thank our customers, suppliers, dealers, and everyone else who has contributed to making 2012-13 another great year for Panel Built!